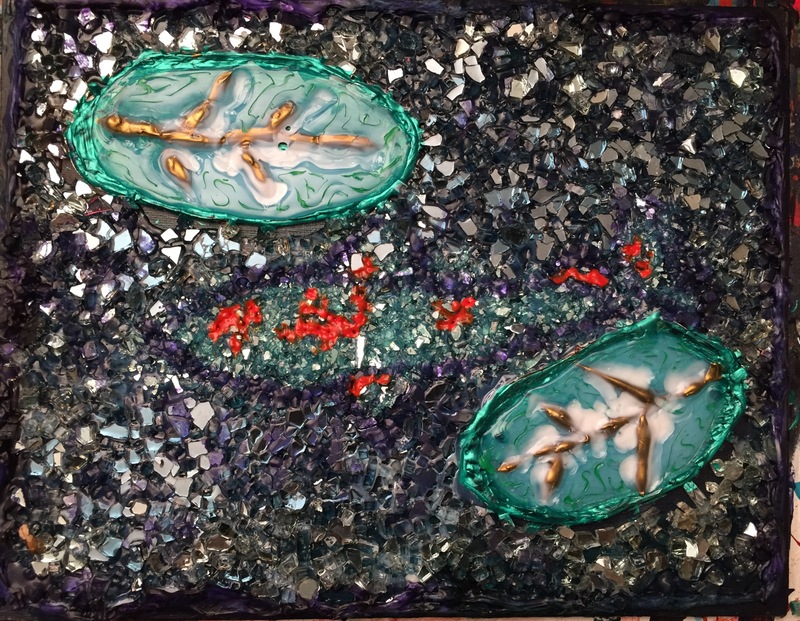 This started as something else, then I had the idea to use crushed glass, self-leveling clear gel, other gels, and acrylic paint on canvas board. It really just came together as a pond with a Koi fish inside. 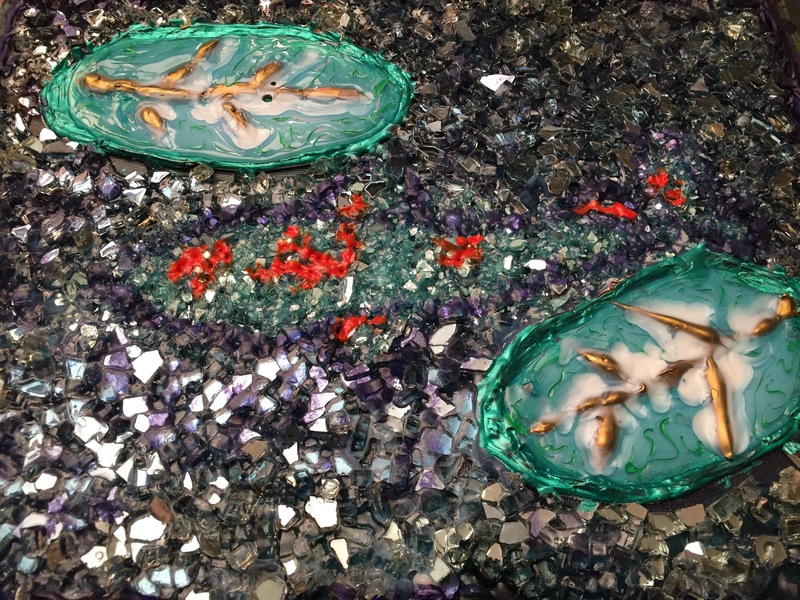 I started with a base of deeper color, then laid the crushed glass, and held it in place with clear gel. The lillies were originally rocks but morphed into the former when I went away from a flowing river concept. 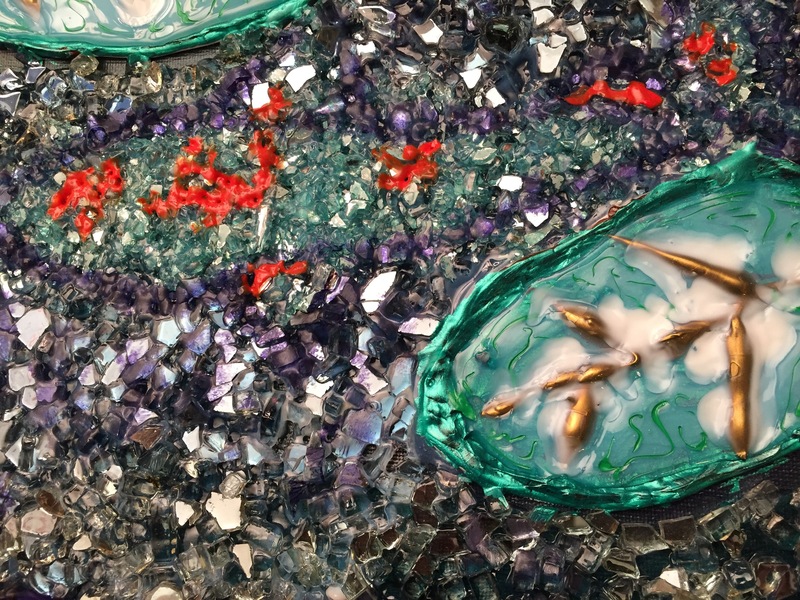 The lillies are made from gold and metallic colors, filled with clear gel, and dusted with a translucent white gel to represent reflection. In full light, I’m sure that it will sparkle more. 11″ x 14″ and is currently available. 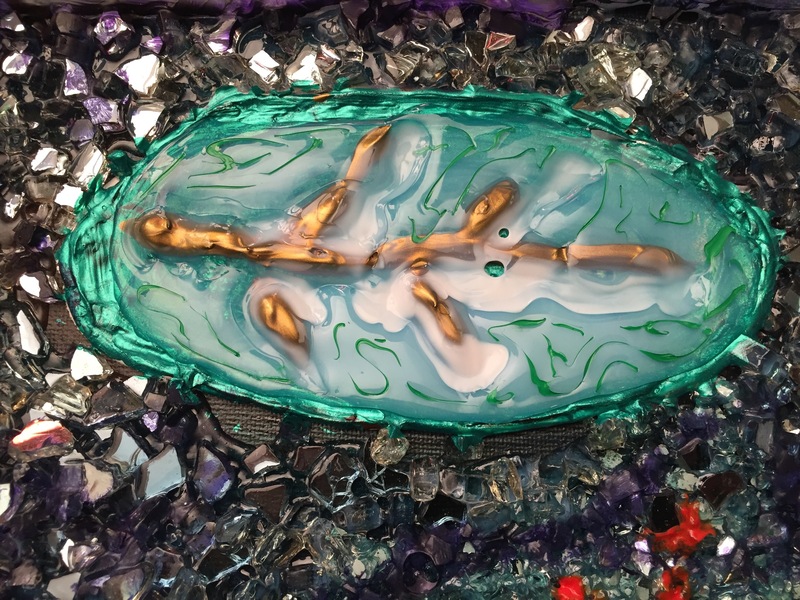 This entry was posted in Art, art collecting, for sale, local art, mixed media, painting and tagged art, artist, fish, glass, koi, lilly, local, media, mixed, painting. Bookmark the permalink.